A new version of capitalism, social capitalism if you will, which integrates both humanistic and economic values, are featuring more and more on corporate agendas. Tania Ellis gives us insight into how this is affecting management programmes and leadership training at business schools worldwide. How can you attract, retain and develop talents on the conscious labour markets? Learn from companies that put corporate responsibility, sustainability and meaning into the hearts and minds of their organization. Do you want to make sure that your leadership and employee development programmes are up-to-date? Need to crack the code for meaningful 21st century talent management? Or just want new inspiration on how to attract and retain the next generation of employees? Learn from companies that put corporate responsibility, sustainability and meaning into the hearts and minds of their organization. When people’s needs change, business must adapt. Companies that fulfill employee needs for meaning and personal development while making contributions to society that go beyond making a profit are today essential cornerstones of modern work and life expectations. We’re moving from human resource to human purpose management. And this requires heartcore leaders, who are able to bridge mission and meaning. Understand what drives the MeWe generation and why. Inspiration to how you can attract global talents on the conscious labour markets. Gain insight into key tasks and principles of tomorrow’s leaders. Learn from companies who have succeeded in putting the values of responsibility, sustainability and meaning into the hearts and minds of the organization. Understand how to put these values into the ‘hardwiring’ and ‘softwiring’ of a company. 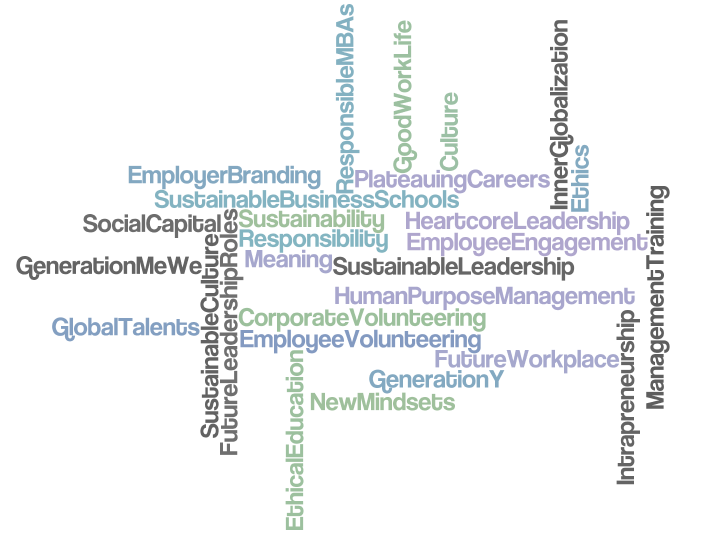 Examples of progressive employer branding and development programmes for the next generation of responsible leaders and employees. All presentations on leadership & work-life issues are based on Tania Ellis’s past ten years of extensive field research, key findings in her internationally acclaimed book The New Pioneers, her MBA dissertation The Era of Compassionate Capitalism as well as her own hands-on experience from her 12 years of people management practice.